The paragraphs of this Addendum to Change Order No. 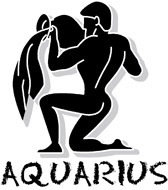 20 to the Contract between Aquarius Condominium Association, Inc. (Association) and Contracting Specialists, Inc. – South East (Contractor) are intended to modify or supplement the Contract and prior change orders as and to the extent set forth herein, and the terms hereof shall control in the event of any conflict. Otherwise, the Contract and all prior change orders remain in full force and effect. 1. The amount of liquidated damages shall be increased from Two Hundred and 00/100 ($200) per day to One Thousand and 00/100 ($1,000) per day as related solely to the scope of work connected with the valet area of the Association property and that may have been specifically identified within change order number 20. All other contract work or change order work shall continue to be governed by a Two Hundred and 00/100 ($200) per day liquidated damage provision as set forth within the Contract. All parties acknowledge that no liquidated damages are due at this time and this change is intended to cover the circumstances where liquidated damages may become due as related to the scope of work indicated specifically above, but is not intended to imply that such are currently due related to that scope of work or otherwise. 2. There currently exists a claim that has been made by the Association against a subcontractor, Hollywood Stone Paving, related to flood or water damage from the west pool deck all the way to the lobby and meeting rooms of the Association’s property (the “Paving Flood Claim”). In connection with and consideration for the increase of potential liquidated damage amount set forth within paragraph 1 above, the Association hereby agrees that it will not sue Contractor, or assert or make any claim against Contractor, for damages, losses, or expenses in any way associated with the Paving Flood Claim. The parties have set their hand and seal this 23rd. day of April, 2015, signifying their agreement with all of the above. Joel Cohen, VP (seal) Aquarius Condominium Association, Inc. This entry was posted in Construction & 40 Year Inspection and tagged 2015, construction, Deck, Entry Area, Lobby, Main Entry, Valet. Bookmark the permalink.